Chop the Sheela fish into small pieces. Bake them in idli plate for 15 mins. 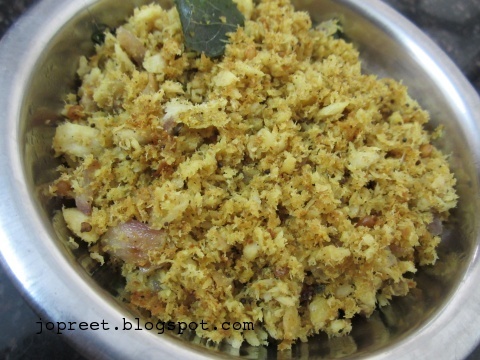 Once steam comes out of idli making vessel, remove from the heat. Take the pieces and remove the skin. Crumble the fish pieces removing the thorns. Heat oil in a kadhai and temper mustard seeds. 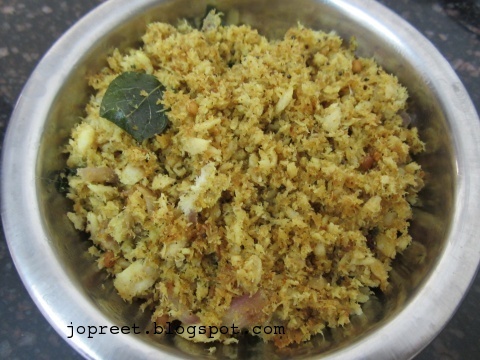 Add curry leaves, chopped onions and finely chopped green chilies. Fry till it turns golden brown. Add Crumbled fish pieces, turmeric powder, pepper powder, cumin powder and coriander powder. Since it is dry dish, pieces may get stick to the kadhai. So mix all frequently and add little oil if needed. Add salt to taste and cook for 10 mins. Serve hot. Wow! shhh..sooo nice.Seelameen, King Fish thaane?Baracuda- ooli. 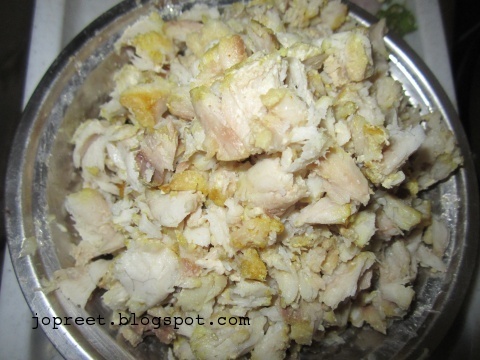 No asiya.. king fish is vanjaram..
Wow.. ages since I ate meen puttu..
Looks so delicious,perfect recipe for sea food lovers. I can have it anytime,simply inviting and irresistible..Mouthwatering here.